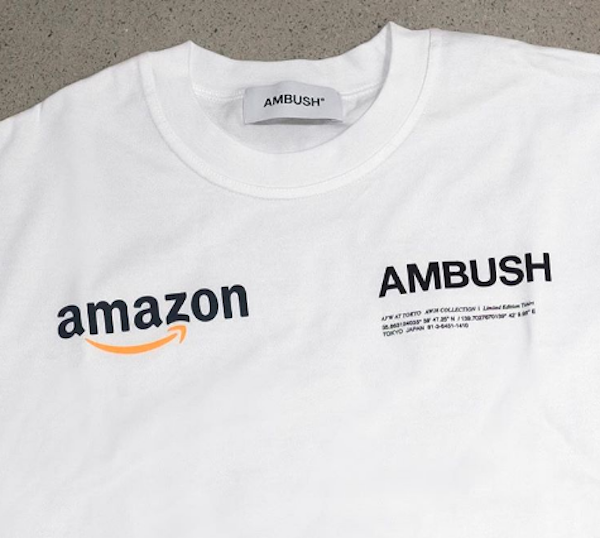 Amazon has teamed up with Japanese label AMBUSH for an unlikely apparel collection, teased for debut come 20 March 2018 during Tokyo Fashion Week. Both pieces flaunt each company’s logo loud and proud. Amazon’s printed tape in black-and-white can be seen at the bottom of the hoodie as well as its sleeves. The T-shirt includes both logos on its front.